In Malaysia, affordable housing and housing affordability are often used interchangeably but they represent two different problems. On the one hand, affordable housing deals only with the supply of homes based on median household income. On the other hand, housing affordability is about the criteria used to qualify a buyer’s ability to honour a mortgage. The former is supply-related whereas the latter is demand-related. Are there ways to address both issues in a more pragmatic manner? It is no exaggeration to say that government intervention in general costs a lot of money. That said, this author would argue that intervention in the affordable housing market has to be very specific, where the supply of such homes by the government, at the very least, must be in line with the country’s median household income of up to a maximum of RM165,060 per unit. By using the same “median multiple” methodology, in theory, the affordable housing price range in urban areas of Malaysia should not breach RM185,616 per unit mark. 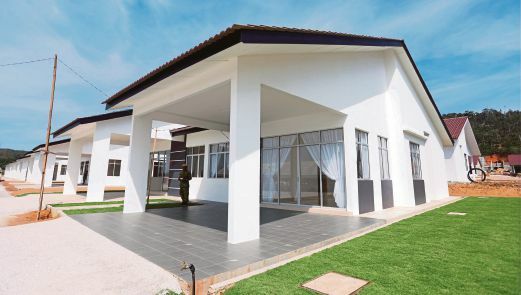 In practice, the 1Malaysia People’s Housing Programme (PR1MA) is championing the affordable market segment, but all of its projects within the Klang Valley are sold at above RM200,000 per unit. PR1MA is actively placing itself as a major contender and competitor to private developers in the massive M40 market. Since governments have no capacity in undertaking construction projects, it is up to private developers to build affordable homes that are within the said threshold. Unless the government is willing to offer huge subsidies that can heavily suppress land costs, private developers are not keen to undertake projects that can limit their earning capacity. The only way forward to profit is to build homes that are way above the median multiple line. In other words, the supply of affordable homes should go directly to where it matters because income is the gravity of the problem. Speaking of which, according to the Household Expenditure Survey 2014, the largest component of household expenditure in Malaysia is housing-related where urbanites spend, on average, a quarter of their income compared with the rural dwellers of about 20 per cent. In addition, household debt to gross domestic product (GDP) is presently at 89.1 per cent and it is no surprise that housing loans account for the largest chunk of more than 40 per cent. End-financing and loan rejection are noticeably higher and have contributed to lower sales and new project launches since the second half of 2015. So, when affordable housing and housing affordability issues converge, the best way forward for consumers is renting. Little did we know that the Federal Government repealed the Control of Rent Act 1966 after 30 years of life. Instead of conserving pre-war heritage buildings, the unintended consequences of such move enabled the power balance to tip in favour of the landlord and it further endorsed the cultural belief that paying off someone else’s mortgage is a bad thing. Almost all high-income countries have rental-related regulations. Free-market economists will strongly argue against it but most would likely agree that having some degree of rental control is better than none. Bringing back rent control is timely as not only as an alternative to buying a house but, more importantly, to ensure that low-income earners are not pushed out of the city centre due to the lack of public housing. Reintroducing rent control in the private rental market will largely reduce the upward pressure on home prices. The government has to put in place complementary policies to housing as a better living condition reflects a higher standard of living. Affordable housing is not only price-related and it should be more comprehensive to include transportation, communication and security considerations. Affordable housing is not affordable after all if a buyer ends up spending a lot more on others but housing. As we move towards achieving advanced nation status, a much greater attention is needed on other complementary policies related to housing and urban planning. Based on the latest Construction Industry Development Board’s Construction Quarterly Statistical Bulletin, social amenities projects were the lowest contributors in terms of value and volume of projects. These projects also reflect the state of living condition that we have today. Location, location, location, they say. Housing projects in the vicinity of connectivity stations, such as the MRT, for example, can fetch astronomical per square foot price at market value. If the government cannot bring affordable housing to these areas, it then has to be done the other way around. All in all, the housing industry is arguably the most regulated sector in the economy and there is so much to write about. If solving the issue is as simple as meeting supply and demand, then it is not a problem in the first place.